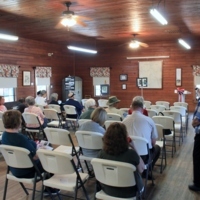 The audience at the Geneva Community Center in Geneva, Florida. 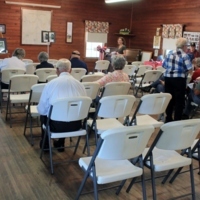 The three photographs were taken from the back of the room before a memorial program. Cravero, Geoffrey. 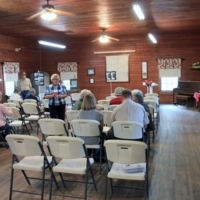 “Audience and Stage.” RICHES of Central Florida accessed April 20, 2019, https://richesmi.cah.ucf.edu/omeka/items/show/10416.